I’ve been busy; very busy and this lovely equine is the reason. After an almost three year gap I gave in and became a horse owner again. Now life is complete and I have my “fix‘ again! 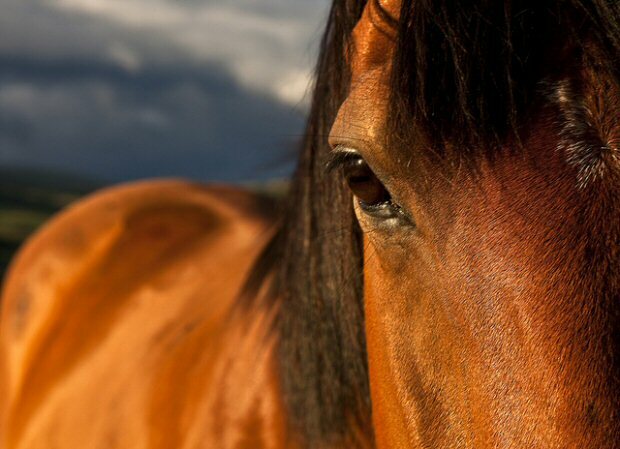 For those of us afflicted, horses are an addiction – once affected one never recovers, it is a lifelong condition. A surprise, no dogs or horses, well I’d better confess this was taking standing in my horse’s field and the dogs were there too! 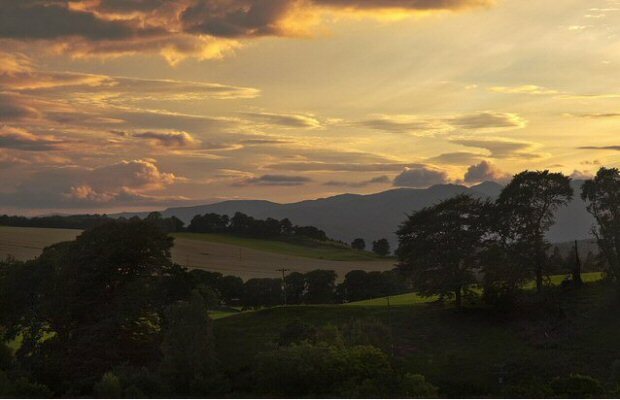 Such a lovely sunset, one of many in recent days as the summer fades. Mind you I’m still waiting for it to start properly, I thought June promised wonders, perhaps I should have known better! But recently the air is clearer and sharpness creeps into the evening air, Autumn is definitely on it way, the nights draw in and I realise the DIY avoidance technique ‘its winter work’ is about to wear thin. Oh well, such is life … at least each season brings its one special beauty for me to try and capture. A very positive result of summer’s wane is the harvest coming in. Here a sample of my very own harvesting. 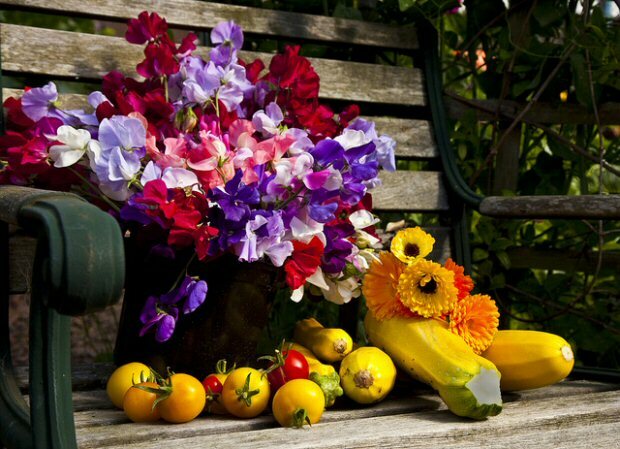 My sweet peas have been wonderful and enabled me to fill the house with their voluptuous scent, still leaving enough to enjoy in the garden … best for years. Courgettes too abound, soft fruits have made excellent ice cream with a newly acquired machine, and lovely tomatoes too. Still potatoes to come, however at the moment they seem to be making a bid to appear in a remake of the Day Of The Triffods movie and seem to be taking over! Sadly my cauliflowers have failed miserably … eaten by something evil it seems. It’s always so good to eat one’s own produce, and tastes so much better, though we may be eating courgette soup for quite a while! Staying with my seasonal vein, these wellies caught my eye at Blair Horse Trials ( I was working not competing! 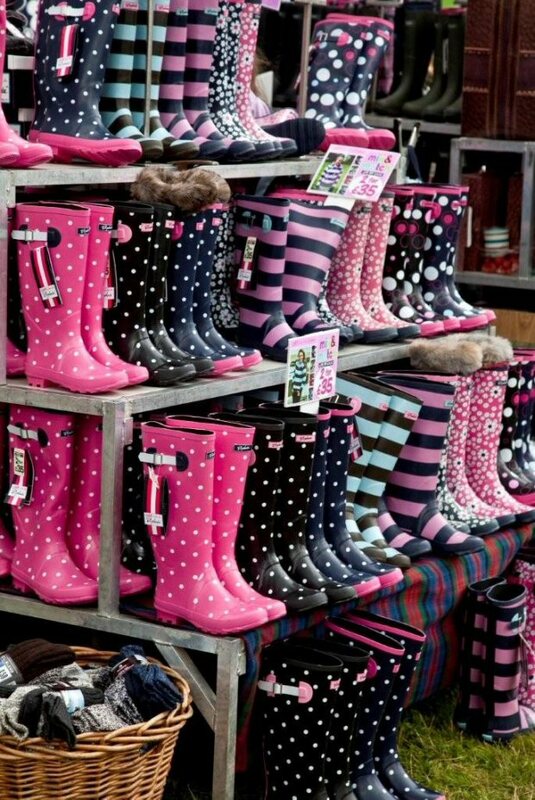 ); such a fabulous selection of colours and patterns whoever would have thought wellies could become so stylish! I have to confess mine are purely functional, and usually mud coloured. Perhaps one day I should invest in ‘dress’ wellies, they do seem to be quite the essential accessory of late! I haven’t needed mine for some months, long may it last. I’ll hope for an Indian Summer I think! Take care all … remember to look around you as you go!